The first settlers in this area settled along the Shoe Hill Creek and Lumber River in the 1700’s. Incorporated in 1874 as Shoe Hill (from the Gaelic “S”, the shape of the nearby creek), Maxton also held the names of Tilden (after an 1876 Democratic candidate for US President) and Quhele (Gaelic for “arrow part of a stream”). 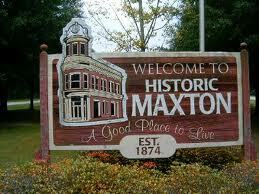 The name was changed back to Shoe Hill in1881 and finally to Maxton in 1887. Maxton was chosen to honor the Scottish settlers to the area. Education was important in the early years of Maxton in 1841, just outside of town, John Gilchrist Jr. founded Floral College, the first woman’s college in the state to confer degrees. Maxton was also the site of the first school opened by famous black educator, Charles N. Hunter (1818-1831). He went on to form the North Carolina Industrial Association to try to improve the lives of African Americans by emphasizing economic progress rather than political activity. Maxton is very proud of their hometown people who include: Angus W. McLean Governor of North Carolina 1924-1928; Malcom McLean, founder of McLean Trucking & SeaLand Inc., he was named “Man of the Century” by the international Maritime Hall of Fame; and Alice Russell Micheaux, concert soloist and movie actress-her credits include: The Betrayal (1948), God’s Step Children (1938) Murder in Harlem (1935) and The Broken Violin (1927). 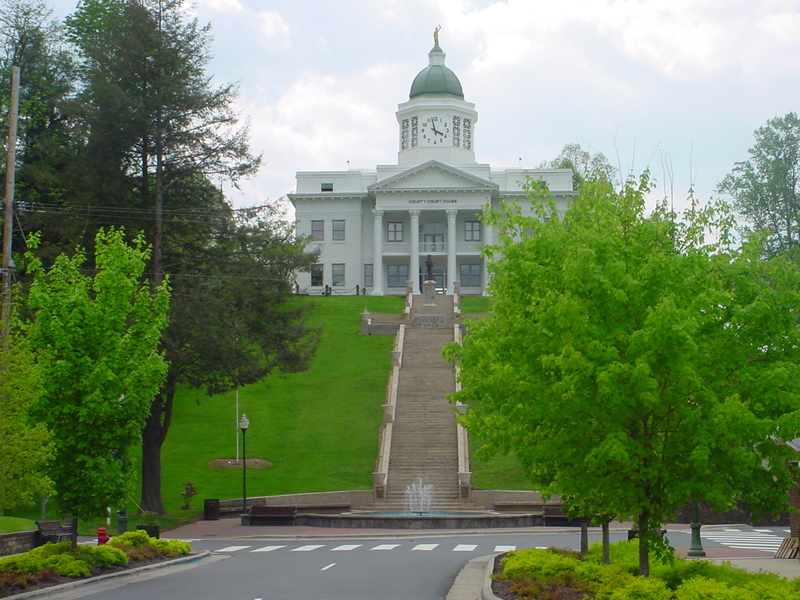 Hiddenite, North Carolina, is located in Alexander County and in a spur of the Blue Ridge Mountains called the Brushy Mountains. 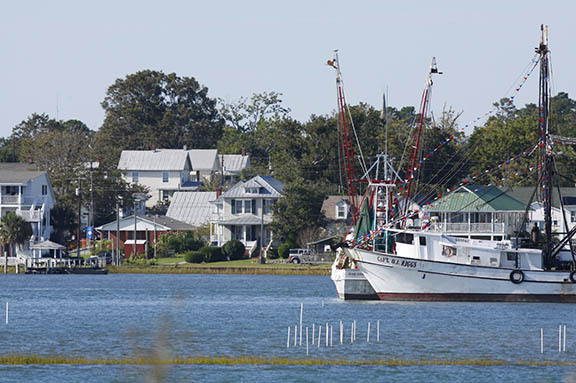 For such a small unincorporated town it boasts some unusual history and interesting attractions. The area used to be called White Plains and, at one time, was a health resort due to it’s sulfur springs. The town was named after William Earl Hidden, a mineralogist sent here by Thomas Edison to look for platinum deposits. Instead of finding platinum he found something more valuable, some emeralds and a rare mineral that was later named hiddenite. 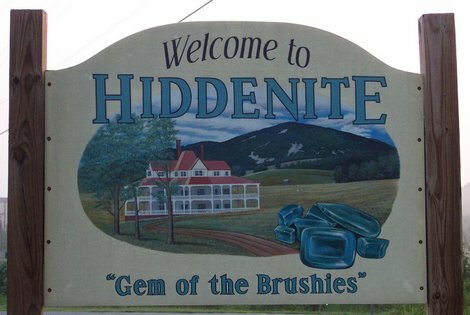 Hiddenite is also the town I live in and after living in many places in the United States I wouldn’t have it any other way. Life is slow paced in many small towns and Hiddenite is no exception. The people are friendly, crime rate is very low and most everything you need readily available. A lot of families and school children come to Hiddenite to visit the Emerald Hollow Mine. The mine is one of just a few where the public can hunt for emeralds, sapphires, and other valuable gem stones. The mine offers much for your families entertainment and has primitive camping facilities, sluicing facilities, a creek, professional gem cutting and lapidary, and a mineral shop in addition to the main mine. For those that would rather camp in better style, or have RVs, there is the HiddeNite Camp Grounds. The camp is located along the South Yadkin River, has 37 full RV hookups, primitive tent sites, large swimming pool and over 30 acres of nature area.